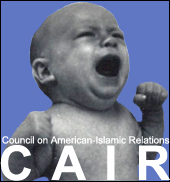 Columbus resident, HAMAS operative, and would-be Columbus Public School Board member Anisa Abd El Fattah is a featured speaker this weekend at a conference for a front group for the Iranian theocracy identified by former FBI Director Louis Freeh as a known domestic terrorist threat. But don’t worry — she’s still considered a moderate by the Columbus Dispatch. Fattah is speaking this weekend at the annual conference for the Muslim Student Association-Persian Speaking Group (MSA-PSG), also known as Anjoman Islami. Director Freeh said that this organization is used by our avowed Iranian enemies to conduct spying against the US and a resource that Iran will draw from to launch terrorist attacks against the US. Counterterror expert Yehudit Barsky observes that MSA-PSG/Anjoman Islami has also been the primary promoter of the anti-Semitic and anti-US “International Al-Quds Day” celebration inaugurated by the late Iranian dictator Ayatollah Khomeini, and also that MSA-PSG published materials have openly advocated for the “global Islamic revolution”. 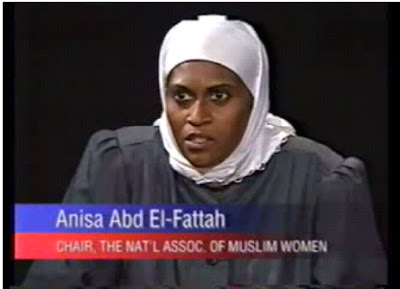 Anisa Abd el Fattah is the founder and Chairwoman of the National Association of Muslim American Women. She is a former Executive director of the Center for Public Policy Research, and served briefly as the President of UASR, the United Association for Studies and Research where she also served for five years as Director of Media Relations and Public Affairs. From 1996-2000, Anisa served as the Editor of the Middle East Affairs Journal, an internationally acclaimed academic and peer reviewed journal that served as a forum for academics as well as activists writing from an Islamic perspective on issues pertaining to Islamic reform movements in the Muslim and Arab worlds. She is author of the book, Reflections on the Spiritual Meanings of the Islamic Revolution in Iran. In 1998 she conducted an in depth study of the Iranian Constitution, and authored a report on Social Order, Individual Rights and Islamic Constitutionalism based upon that research. She co-authored the book, The Agent; Truth Behind the Anti-Muslim Campaign in America, and numerous occasional papers on Islam in the United States such as, Islam in America: A New Reading, and Justice and Normative Law: Underlying Keys to Christian/Muslim Cooperation in the US. In Sura Nahl, (The Bee), Chapter 15 of the Qur’an, God guided the prophet Muhammad (sa) saying, “Follow the ways of Ibrahim the true in faith, and he joined not Gods with God.” This implies that the life of the prophet Ibrahim (as) is an example for Muslims to follow for many important reasons, including spiritual and also social and political reasons. It also seems to imply that the secrets to the success that we intuitively desire and are seeking in respect to establishing Islamic Ummat in our lifetime, like the prophet Muhammad’s success, is also to be found in the example of prophet Ibrahim (as), and the concept of unity. Through this presentation we hope to attain a better understanding of the prophet Ibrahim’s life and his transformation from the son of an idol maker, and a member of a pagan society, to his realization of Tawhid, (Oneness of God) and the impact of that realization upon his life journey. His journey included the establishment of the first community of believers and the Kaba, which is the Sacred House of God that also became the Qibla, or direction of a new community of Muslims distinguished by the completion and perfection of their way of life, which God named Al-Islam. For those just joining us, her bio touts her lengthy tenure at the United Assocation for Studies and Research (UASR), which one convicted terrorist leader described as “the political command for HAMAS in the US”. It also notes that she briefly served as president of UASR. The reason she rose to that position was all of her other UASR colleagues had either been deported as terrorists, been arrested and charged for being terrorists, or fled to country to avoid prosecution as terrorists. I guess that’s one way to climb the corporate ladder. And then there is her “co-authored” book. Just whom did she co-author her book with, you may ask? Current HAMAS spokesman Ahmed Yousef.